Not all active multi’s are born equal, some designs do not fully solve impedance mismatch and tracking problems. This may be because their input impedance is not sufficently high, or the output impedance is not sufficiently low, or perhaps a combination of both. Also, they may apply offset voltages to the output which give a difference in pitch when the buffered multi is taken in or out of circuit, so in some cases may even cause more problems than they solve! 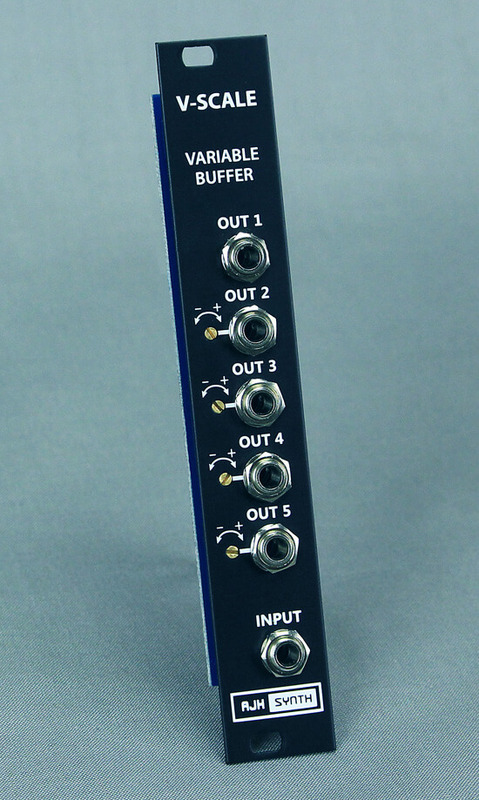 In addition to being a very accurate precision buffered multi, we have added a very useful (and unique) feature to cure tracking problems - four of the five outputs can be adjusted up or down by +/-5% from the front panel, so that VCO’s and VCF’s that don’t track 1V/Oct exactly can be easily compensated to track correctly without having to re-calibrate the VCO or VCF themselves. Available with either silver or black fascia panels. 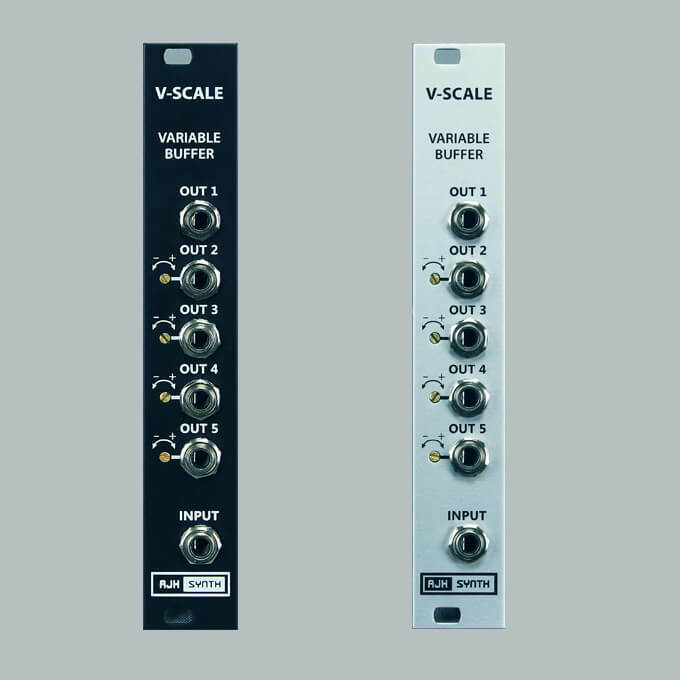 V-Scale Variable Precision Buffer is available with either Black (Dark Edition) or Silver fascia panels.